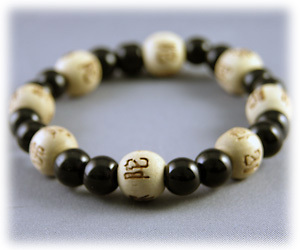 Men and women alike love this bracelet created from genuine onyx and wooden Karma beads. Wear and you can have the power to conquer everything, achieve greatness, riches and fame, be respected by all and be successful in every aspect of your life. Comes with an attached card with the above text.